Ms. Amtul Anis, Dean, Indus College of Nursing and Midwifery (ICoNM), Indus Health Network passed away on November 30, 2018. Ms. Anis was the founding member of SONM and headed the school till the last day of her life. She was highly inspired by Nightingale Movement and completed nursing and midwifery education in 1954. 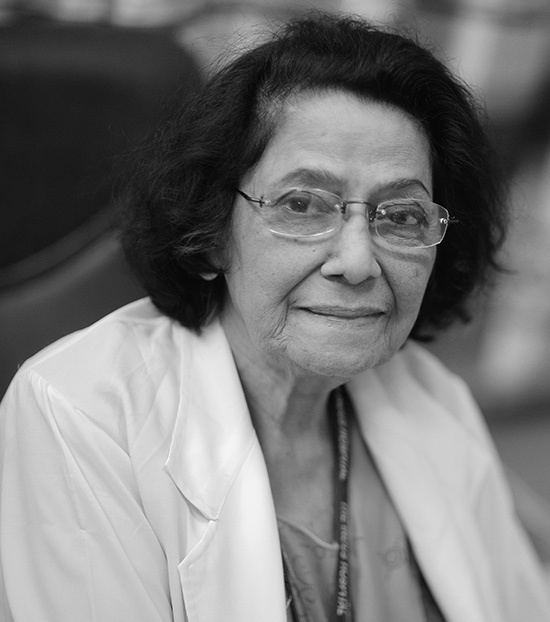 After completing higher education, she joined Jinnah Postgraduate Medical Centre (JPMC) in 1961. She went to Edinburgh University, UK for further education. She was selected as the clinical nurse specialist. She became the Principal of JPMC’s SON in 1978. In 1988, she became the Nursing Adviser. Ms. Anis played an instrumental role in devising Nurses’ service structure and in revising basic and post-basic nursing curriculum. In 1990, she became the president of Pakistan Nurses Association, Sindh and the president of Pakistan Nurses Federation in 1991. After the retirement, she joined Islamic Mission Trust’s School of Nursing. Ms. Anis has always advised the young nurses to treat patients with dignity and respect. She has always been advocating the need to improve nursing education and skills in the country and to alleviate them to the international standard. Chief Executive Officer, Indus Health Network; The Board of Directors; Dean, Indus University of Health Sciences; faculty; and employees are deeply saddened with the demise of Ms. Anis. It’s an irreversible loss for the network and the nursing world. She has created a great impact on the fields of nursing and nursing education that the void seems impossible to be covered.